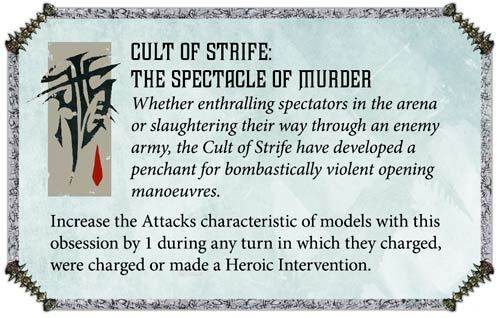 The Wych Cults will have 3 different Obsessions (think Chapter Tactics) that they will be brining to the table. 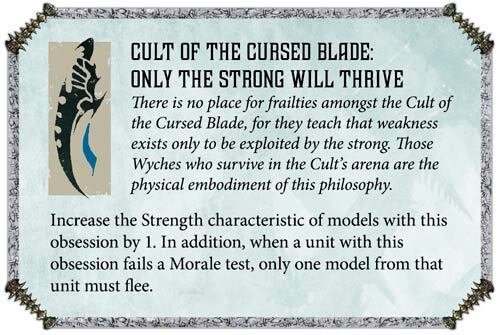 But before we dive in we should talk about their namesakes: Wyches! 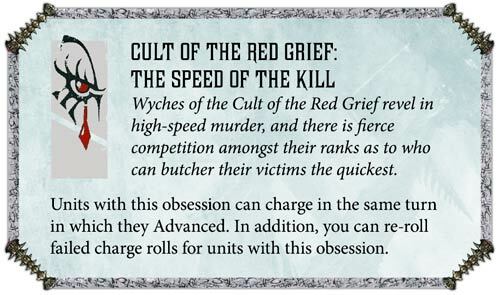 Now that we have a base line of what Wyches can do, let’s go over each of the three Wych Cults and what they specialize in. 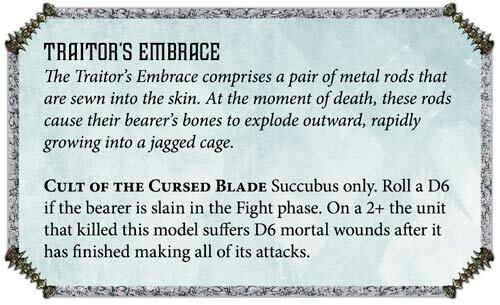 Traitor’s Embrace is a brutal relic that be equipped on a Succubus. It’s going to make you almost want to suicide that squad into the enemy. You can cause that unit to attack twice in the fight phase with another 81(!!!) attacks. That’s more than frightening. The Red Ones DO go faster! I’m fully expecting to see this Cult show up a lot. Charging after an advance is fantastic and they also get the added benefit of getting to re-roll the charge distance! 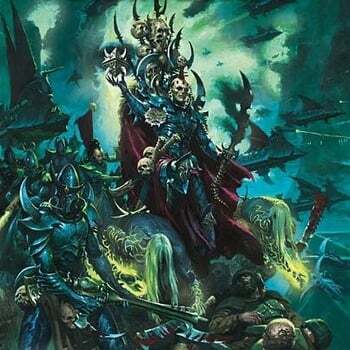 We mentioned that Reavers will have access to these rules and they are going to be a strong contender for First Turn charges thanks to their 18″ move plus automatic 8″ advance. 26″+2D6″ on the charge with a re-roll means they can get where they need to go – plus they have fly as well. 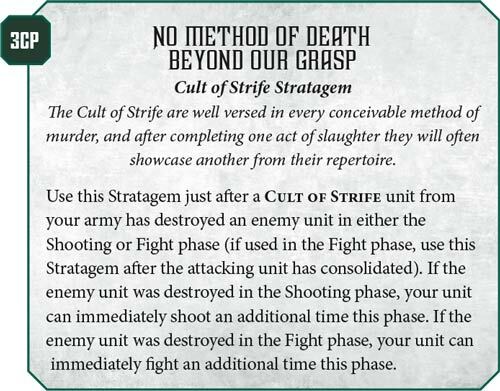 Man, if only there was a way to do even more damage…Oh that’s right – there’s a stratagem for that. Yes – even MORE attacks. 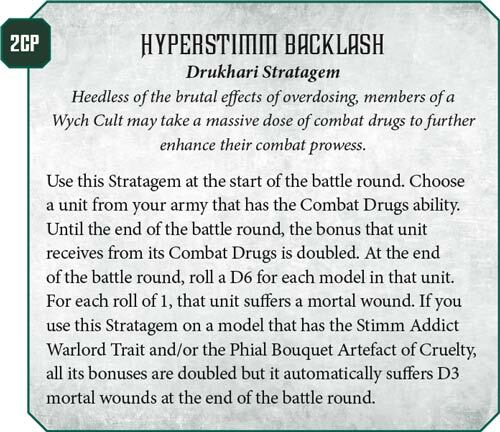 I have a feeling that Drukhari are going to need BUCKETS of dice when they play. 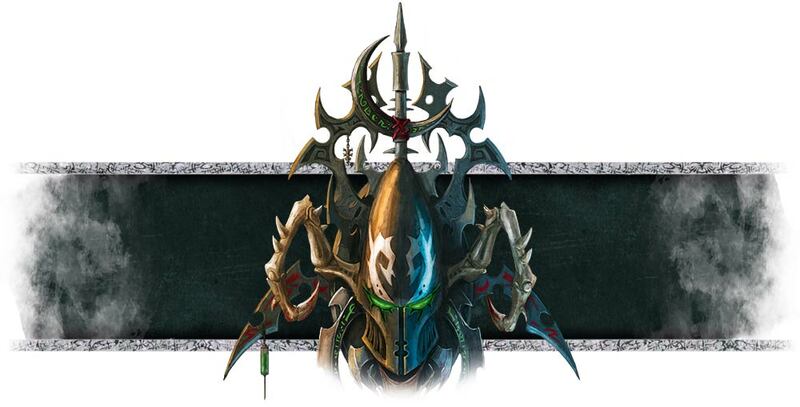 Again, remember from the previous reveals that the Archons will have ways to generate those CP right back. Brutal. 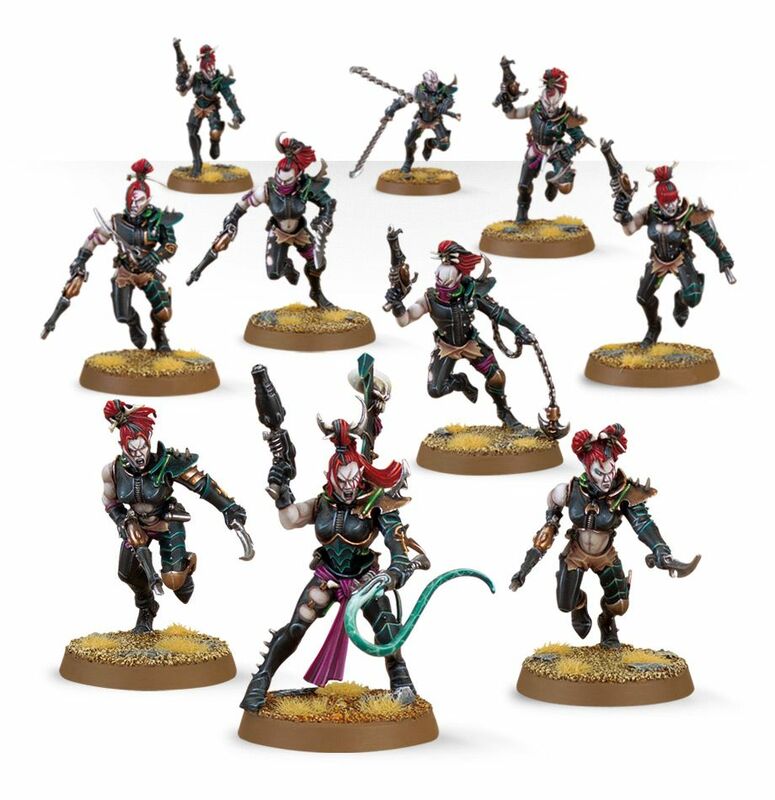 I hope the Drukhari Players are ready for the vast array of army builds that just opened up for them. 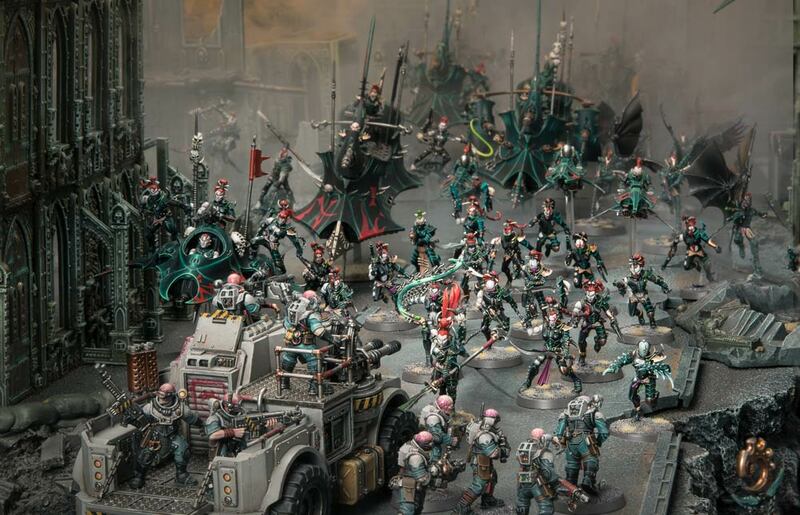 It’s about to get CRAZY on the tabletop.